I love sports games. I love a good story. And I often wonder why my favorite sports games stray away from telling stories. There’s no lack of fantastic movies and shows that prove the bonds a sport can forge are perfect fodder for gripping stories. Hardly a year goes by without a big-budget sports movie hitting the silver screen, often backed by star power that guarantees at least one Academy Award nomination. 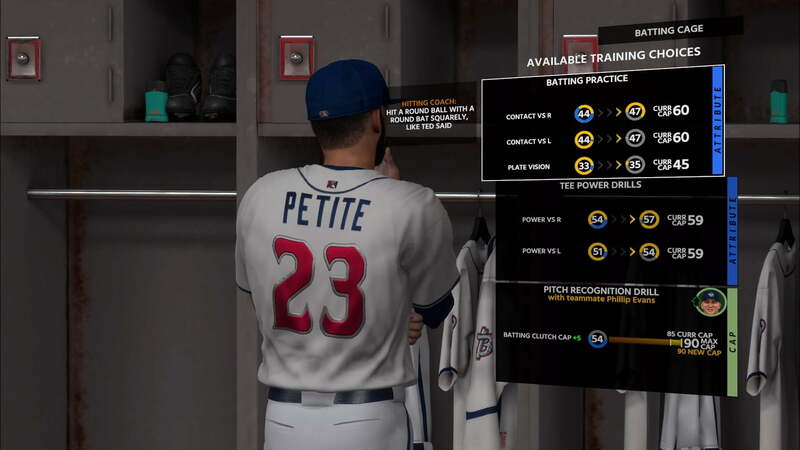 The major players in sports games — Madden, FIFA, NBA 2K, and MLB The Show — have only recently started to explore the role of stories, with varying degrees of success (emphasis on the word “varying”). And, having played these story-driven sports campaigns, I’ve come to a surprising conclusion. The less game, the better. Madden 19‘s Longshot: Homecoming drove this home for me. I chose Madden 18‘s Longshot as my favorite game of 2017 in Digital Trends’ year-end roundup. I still love the original Longshot, but the utter disaster which is Madden 19’s Homecoming has forced me to re-think why I was enamored with its predecessor. Longshot: Homecoming continues the story of best friends Devin Wade and Colt Cruise. It’s ham-fisted from the snap, filled with improbable events transparently written to pull at the player’s heartstrings. My biggest problem with Homecoming, however, isn’t the strange coincidences that guide Colt’s coming-of-age story, or Devin Wade’s cardboard characterization. My problem is the game. There’s too much of it. “Four times the gameplay” sounds great at a glance. EA Sports apparently upped the time spent on a virtual field in response to player feedback. “One of the common requests was that gamers wanted to feel more involved with Longshot from a gaming perspective. With that, this season players will be taken through four times the gameplay and be thrown into even more on-field action,” EA wrote in a blog post. “Four times the gameplay” sounds great at a glance. Four times more! That’s a lot! In practice, though, the long stretches of Madden gameplay stretch the already forgettable story too thin. While Longshot featured lengthy cinematics and plenty of dialogue, Homecoming moves from cut scenes to lengthy 11-on-11 football matches that hardly different from a standard exhibition match. Homecoming is more fun to play than Longshot, to be sure, because there’s more playing involved. Yet Longshot was my favorite video game experience of 2017, while Homecoming is in contention for one of my least favorite of 2018 so far. Why? Because playing Madden NFL ’19 doesn’t have anything to do with the story. Homecoming focuses on named protagonists, yet the game gives you control over an entire team. That means there’s never a chance to surprise the player or meaningfully impact the story while the game is running. The story is forced to tie itself in knots as it tries to make the results of each match align with the cinematics that bookend it. The cracks are most obvious when you fail. While you might replay a game several times to win, the story trumpets the victory as if you hardly broke a sweat. Suddenly, the story’s strings become obvious. You realize the game you’re playing, and the story you’re being told, aren’t connected. While Homecoming fails to build on its previous success, it does so by following a formula too often found in other games. 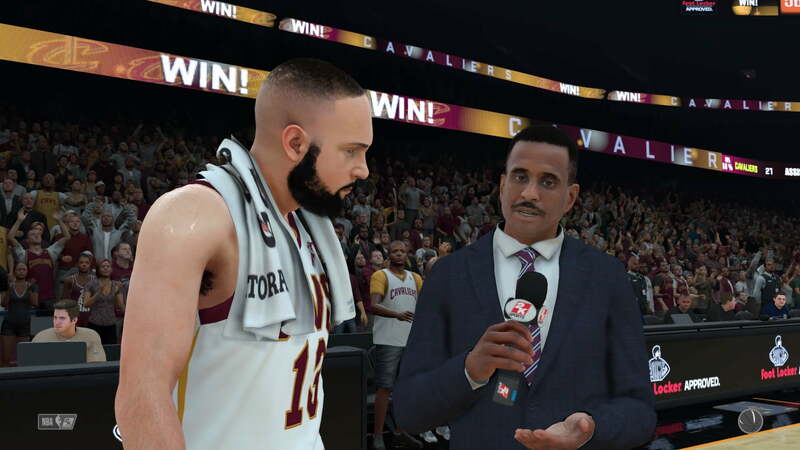 NBA 2K18‘s The Neighborhood, and MLB The Show’s Road to the Show, are meant to to follow one player’s lifelong dream of playing professional sports. Both campaigns offer a different way to play basketball and baseball (from the perspective of one player rather than the team). Yet the stories in each leave much to be desired. If EA Sports did receive overwhelming demand for more traditional team-on-team gameplay for Homecoming, perhaps I’m in the minority of sports game fans for believing that less is more. But if that’s true, wouldn’t it make more sense to play the franchise mode, or an exhibition against a friend? Wouldn’t it be better to separate the two — story and gameplay — to find the best of both? I want sports stories that tell truly memorable tales, like Remember the Titans, Field of Dreams, Rudy, and He Got Game. Madden 18‘s Longshot offered a glimpse into the potential of sports stories in games. I can’t be the only one who wants more of that.